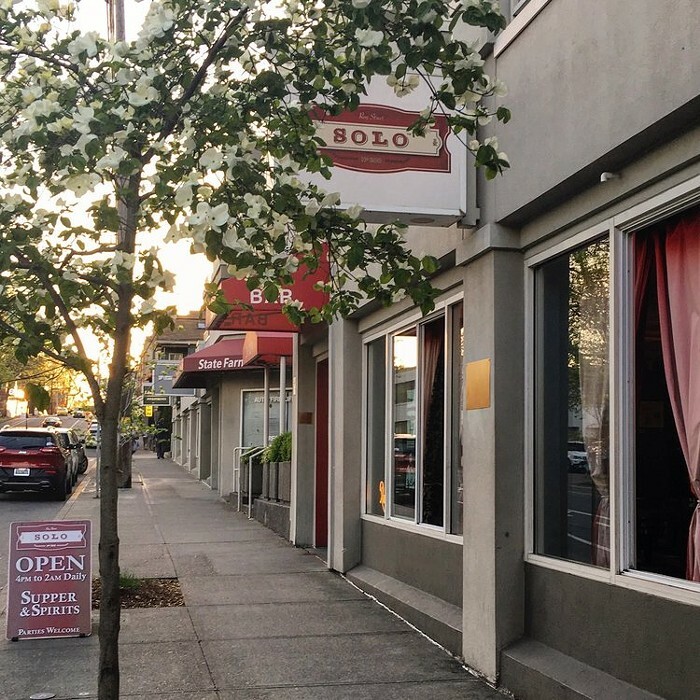 Solo is a good place to have a drink and a snack before going to see a show at Seattle Center or On the Boards—conveniently, their happy hour goes from 5-7 pm, so you can save some money to boot. Mondays are movie nights. Happy Hour Mon-Tue all day; Wed-Sun 4-6 pm ($2 Rainier, $3 wells, $1 off all beer and wine).